Ed.’s Notes: Not as famous as the recently B-Sided T magazine but in the same magazine-inside-a-newspaper realm, here is the Wall Street Journal’s own redesign. 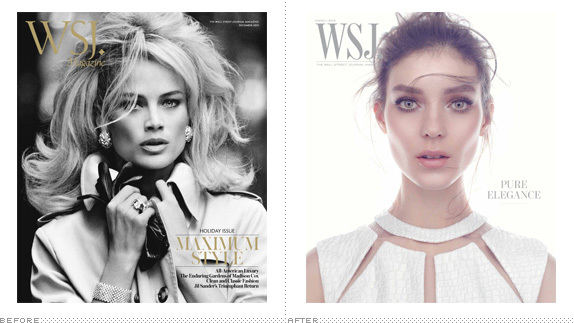 Magazine covers below (or after the jump). Relevant links: News story about the new direction of the magazine under the direction of Kristina O’Neill. About: (Est. 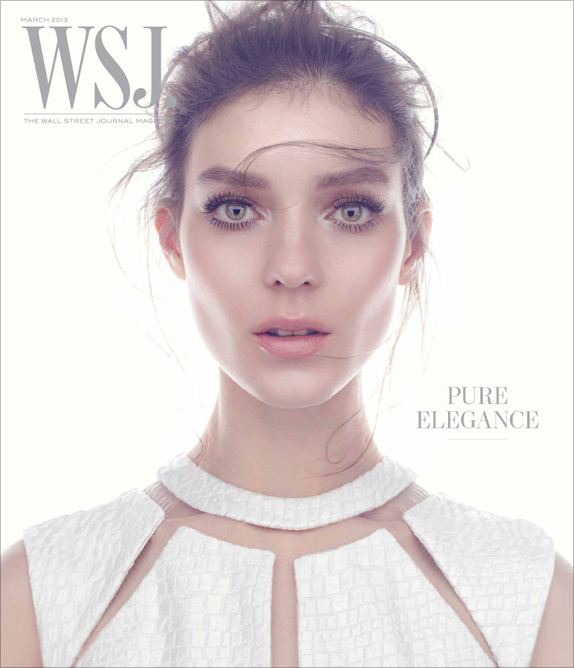 2008) \"WSJ Magazine features the business of luxury and discerning lifestyle content. It is relevant to the [Wall Street] Journal's readers, who are the world's most powerful and influential consumers. It acts as an escape and inspiration for their diverse and sophisticated lives. Reaching the largest number of affluent consumers globally, WSJ. Magazine is the World's Largest Luxury Magazine.\"
Ed. 's Notes: Not as famous as the recently B-Sided T magazine but in the same magazine-inside-a-newspaper realm, here is the Wall Street Journal's own redesign. Magazine covers below (or after the jump). Relevant links: News story about the new direction of the magazine under the direction of Kristina O'Neill.